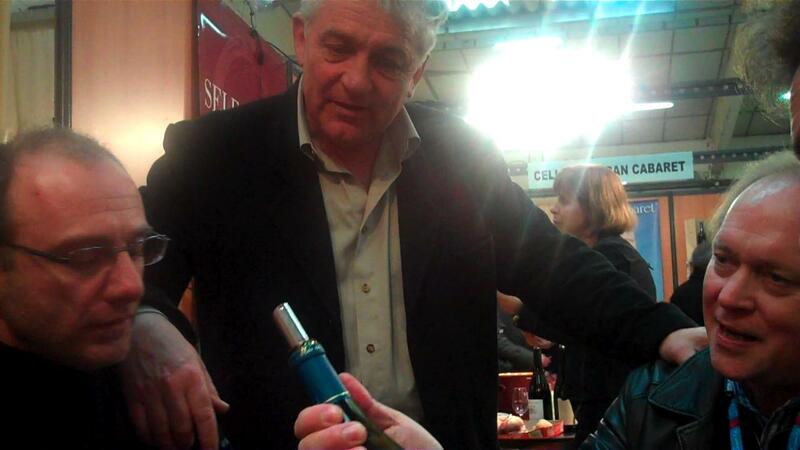 At ViniSud 2010, I got to meet up with Jeffrey Davies and Claude Gros. 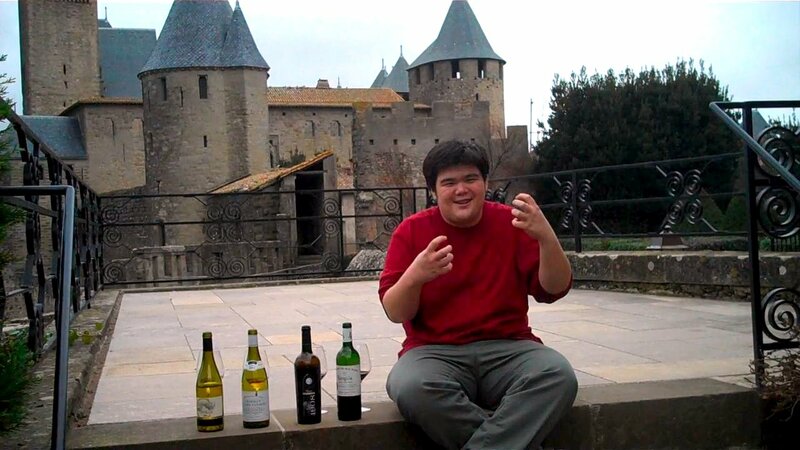 They sat down to taste three epic cuvées from Château de la Negly with a Russian fellow who has some really interesting insights about how the Languedoc is received in various parts of the world. This episode is epic on so many levels. You get all sorts of different insights into winemaking, the history of a classic Languedoc estate, and an International perspective on wine. An instant classic. Thanks to Jeffrey Davies for setting it up and thanks to everybody for participating and sharing this online. 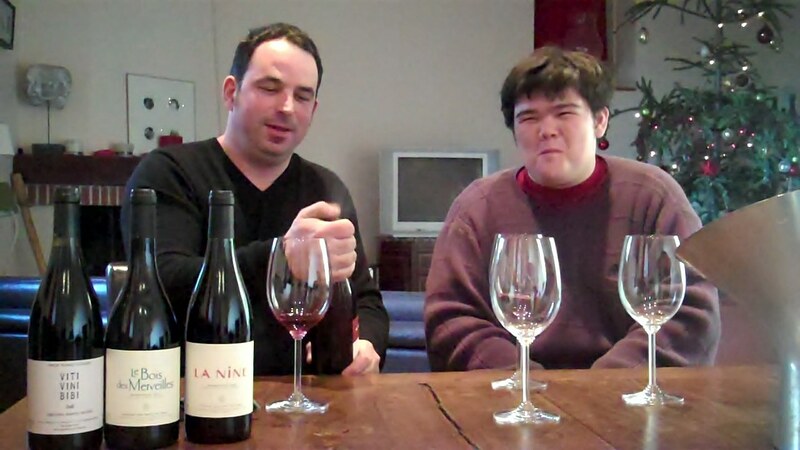 Catch part 2 of the Chateau de la Negly tasting here! 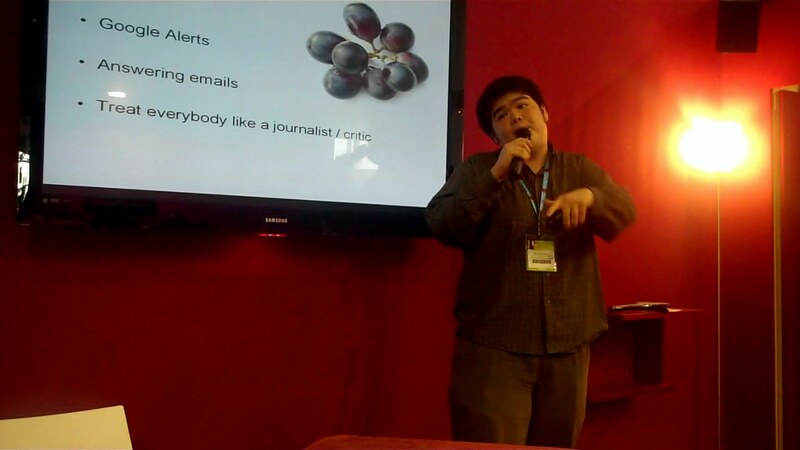 I think the sound came out alright despite the frenetic salon atmosphere of ViniSud. The stand was well-located and very busy, so I tried to get up real close to capture the words exchanged between these men over some truly delicious wine. Oh and it’s the owner who makes a guest appearance at the very beginning of the video. I think Jeffrey Davies has a haunting sort of charm. He reminds me a lot of Orson Welles. Is anybody else getting that? He’s played a large part in building the relationship of several important estates around the world and his prestigious collection of wines is an import brand in the US that we knew of long before coming here to become winemakers. Claude Gros is a super talented winemaker who pulls the strings at many of my favorite Languedoc estates. The more you taste Languedoc, the more likely it becomes that you’re tasting his work. The degree of his involvement varies from one estate to another. Sometimes he’s simply a consultant who gives an opinion and other times he is the primary winemaker responsible for everything from the vine to the bottle. I don’t have a biography on the Russian and I feel bad reducing him to this title. He’s a really swell guy and put up with my camera and bothersome questions like a champ. Not to belittle the other folks in the interview, but his perspective (brutally honest at times) might be the most tangibly interesting part of this episode. The harsh truth is that aside from a few VERY educated markets like Belgium, our individual AOCs are very obscure on the global market. And obviously this guy knows his stuff, but he also has to make purchasing decisions based on his target market. And it’s going to take a lot of efforts like Love That Languedoc before that market expects much from our region other than friendly, affordable wines. EDITS: See Rob Dougan’s compelling comments in response to this! And the Russian’s name is Vladimir Volkov and he’s general manager at Vinoterra, a top Russian import company. Also, it’s worth noting there’s another guy sitting at the table who says even less than me and added to the aura of suspense through his coy reluctance to be on video. Château de la Negly – The mini biographies are necessary since nobody brags about who they are in the episode. But the true star of the videos is the estate so I’m going to say less about it in this section. It’s in AOC La Clape. All three wines are very very good and deserve all the hype they receive. My personal favorite from the tasting was probably the l’Ancely which exemplified the qualities I expect from the terroir (simultaneous richness and freshness) in an unexpected way (100% Mourvèdre with a lot of intricacy and nuance). It just caught me off guard while being delightful and I appreciate that. Also it was from 2004 and was thus displaying a little more evolution than the other two which we were tasting. Although, that’s not to say the other two were tasting young. If somebody popped any of these out in a blind tasting, I would not complain (or spit). Obviously, I love filming each and every episode. I’m always thankful to every single person who helps this video series along. But the outstanding idea to do this episode deserves a special thanks. So, thanks Jeffrey. Bonne idée. Domaine de la Boede – Neighbor of Negly. La Negly has the “droits de fermage” which means they grow the grapes and harvest them as if they were their own. It’s way more involved than just buying grapes. They actually sort of own the land. It’s as serious as a marriage between two domaines. GSM – Grenache, Syrah, Mourvèdre. Three varietals that you see a lot in the southern Rhone and Languedoc. They rightfully have a very high esteem in the hearts and minds of many wine lovers. GSMCC – These guys add Carignan and Cinsault. Because those varietals don’t get enough respect. But we don’t add any more letters because there are a TON of varietals that need more respect. And you can’t have 28 letter acronyms.